ASK 21 A few Questions. Hmm, I can't find any performance differences between FSX and P3d, however, I don't know what to change on the canopy because it does not produce any shadows. It is transparent?!? The point is that I only see shadows in the ASK21 if the canopy is open. Once closed there are no shadows visible any more. It is as if this canopy is not transparent for the sun, unlike that of the Discus and most other FSX aircraft. So the cockpit appears dark? There is no option for this. The canopy was made using a different technology, which makes it look more realistic. This seems to be incompatible with DX10 mode. Please note that we never stated it was compatible with what Microsoft describes as a 'preview' and have never documented in any SDK. They have also never answered ANY of the questions we asked them and have always said it was a preview and nothing more. Mathijs, I am absolutely aware of this and my remarks here are no complaint. On contrary, I am very happy with your ASK21! So, no need to defend the Aerosoft team behind this airplane. Please consider my comment as constructive remarks from a simmer who wants to contribute a little bit to your great work. And please don't forget that the DX10 fixer has definitely upgraded FSX to a DX10 capable sim. I noticed in the meantime that the same effect (cockpit shadows ok while the canopy is open, but not present when the canopy is closed) can also be observed on your Discus K, but as I mentioned before, the Discus B, BM or BT always shows cockpit shadows in DX10 mode. Now it becomes really strange, because as far as I remember, the canopy systems are exactly the same in the Discus b and Discus K.
To be honest, I have no idea and also little influence. Everything I would do, would just change the appearence and this is what I do not want to do. ... The last bit of the spoiler travel is used as wheel brake as well. For a full simulation of this behaviour, you need to assign an axis to the spoilers. No key. a friend of mine buyed your new ASK21 so I could make some short flights to get a first impression. I must say a wonderful piece of work. I'm a real world glider flight instructor and have to constitute that your flight model comes very near to the behaviour of the real one. In his simulator configuration he uses a Saitek X52 Pro controller with spoiler assignment to the slider axis (of the thrust unit) as you described above. 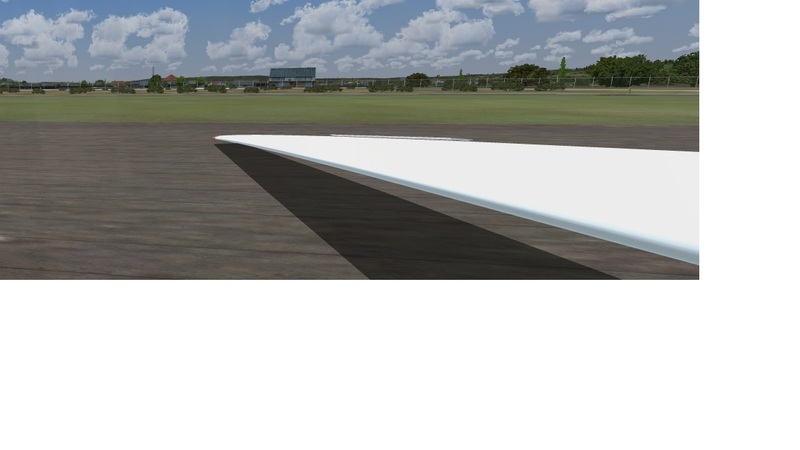 After starting FSX and loading the ASK21 the spoilers are fully retracted. But after the first time they were extended (i.e. for Preflight-Check), you are not able to rectract them completely. It doesn't matter what model of the ASK or the 'mi'-Version you choosed. I think with no doubt that this has negative influences to the gliding perfomance too ? I intent to buy the ASK too and therefore I would ask for a solution prior. Is this a known bug or does it only happen in my friends configuration ? Are You sure Your spoiler axis is properly calibrated. Normaly FSX does not sense an axis before it is being moved. So when You load the ASK, the spoiler will be retracted, but as soon the spolier axis is moved the spoilers will be set to wherever You set it. Moving the axis back to retracted with a badly calibrated spoiler axis might then cause the spolier to not fully retract. Normally when calibrating controller axis' I don´t move them to their full extend in either direction, but leaves the a slight amount from full deflection. This way You will always be sure that full physical deflection also is sensed to be full deflection in the sim. first of all thanks for your quick response. As I said, that was not my computer (or hardware) but belongs to my friend. He bought the Aerosoft 'Discus' and 'Discus K' too we made tests with both too. My idea was to check the calibration such a way because I thought if there would be not fully retracted spoilers too it will be a problem of calibration. Unfortunately the spoilers of the 'Discus' and 'Discus K' work completly as they should. Now my suspicion was as follows: As far as I know the Discus has no 'brake area' behind the end of deflection after spoilers are fully extended but the ASK has. So I assumed this difference could cause such behaviour. Ok, I'll tell him about your hint about the calibration and hope that helps. Didn't work. After several tests we had no success. Hmm, there is nothing special on the spoilers. The brake at the end is more an additional thing, which does not affect travel. For testing purposes we assigned the z-Axis (Thrustlever) to the spoilers instead the slider axis and it works as it should. I noticed some kind of jitter of the slider axis (which seems to be known problem of some rotary knobs and the (precision(!)) slider of the Saitek X52 Pro) so we decided to change the axis. Why does this slider works correctly with the 'Discus' and several other gliders (Duo Discus, LS4, LS7) from Wolfgang Piper and what kind of configuration should we use for the engine powered (mi-)version ? Well, the answer remains the same as well ;-) I don't know. As an option for you: Just switch your funktions. Use the slider which does not work with spoilers as throttle and the throttle axis for the spoilers. It's unsatisfying for me if I don't know what's the reason for this strange behaviour but for the moment I don't see an other way than to switch the functions. Thank you Finn and Joachim for your assistance. I have good news regarding the missing cockpit shadows. By optimizing the (numerous) settings in the DX10 fixer I finally have the cockpit shadows in the same quality as on the other Aerosoft gliders. But don't ask me which option led to the success; I was not able to reproduce it. Anyway, if the fixer is set correctly, everything works fine ... and the ASK21 an even bigger pleasure to fly!